We have over 15 years experience in providing the best quality dental care to all members of the family and are particularly good with helping nervous patients rebuild their confidence and working with children to make sure that their early introduction to dentistry is fun! Our dentist Dr David Dickson, qualified from Glasgow University in 2001, and then worked in private practice in London for over 10 years. He has also worked as a clinical lecturer and teacher at Guys Dental Institute, Kings College London where he was responsible for helping train dental students. David moved to Australia in 2012 and has been living on the Central coast for over 2 years now. He has a Bachelor of Dental Surgery (from Glasgow University). He also has a Postgraduate Certificate in Vocational Dentistry (from the University of Oxford) and a Postgraduate Certificate in Surgical and Prosthodontic Dental Implantology (From the Eastman Institute/University College London). With his up to date knowledge and training, David is able to help rebuild your smile, helping you keep your mouth healthy and hopefully all of your teeth for life. If you are perhaps already missing a few David can also help you get these back with permanently fixed implants or removable dentures - so no more gappy smiles! 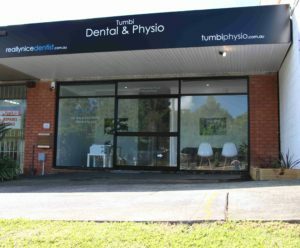 The practice is located at 35 Wyong Road, Tumbi Umbi 2261 at the Tumbi Shops and just next door to Tumbi Mowers. We are situated midway between Killarney Vale and Berkeley Vale, and only a couple of minutes drive from Bateau Bay and Long Jetty. We have lots of easy parking at the front and the rear (accessed via Watson's Avenue and Sherlock Lane) and have flat access from the parking to the clinic. Medicare provides $1000 of dental care to eligible children aged from 2 – 17 years. At Tumbi Dental we bulk bill this treatment so there are no out of pocket expenses or gap to pay (subject to scheme limits and eligibility). We have access to Medicare and can check your child’s eligibility instantly. Call or email us to confirm if you can access this funding. 2017 UPDATE: The Medicare children’s dental scheme has been renewed for 2017- don’t delay booking your appointment!